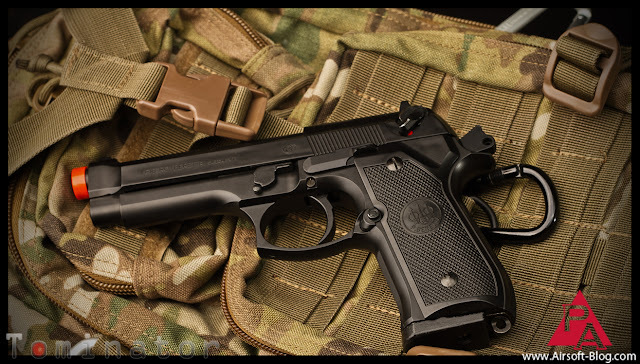 Pyramyd Airsoft Blog: Whatcha Know Bout the Elite Force Beretta M92FS? 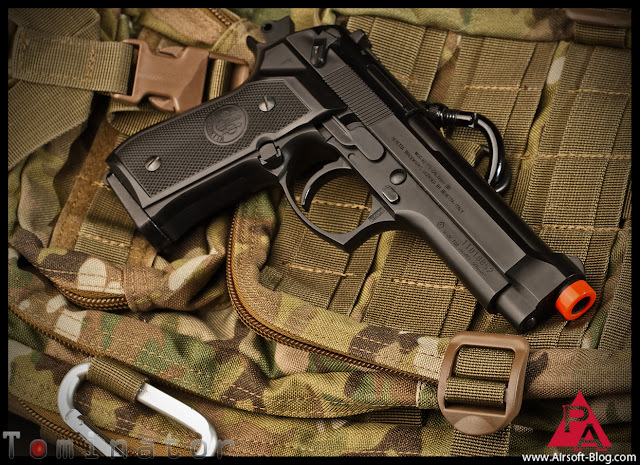 Whatcha Know Bout the Elite Force Beretta M92FS? this time in the form of a Beretta M92FS gas blowback pistol. I will be honest that I was hoping for a full metal version when I pulled this one out of the box, but once I fiddled around with it for a little I got over it and was able to appreciate the things that it did have going for it. Things like white dot sights, which I always appreciate. I hate it when guns do not come with the white dots in some fashion. It makes it quite a bit easier for me to aim with. 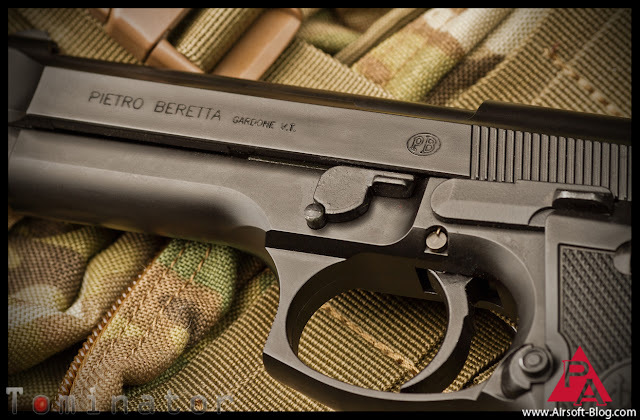 Of course, since we're dealing with Umarex here, there are nice (and licensed) Beretta trademarks all over the gun. I'm guessing Peitro is "Peter" in Italian, but I'm no linguistic expert. Either way, the left side of the slide has "Pietro Beretta" along with a few other markings stamped into it, so you don't have to worry about them wearing off as if they were simply painted on. 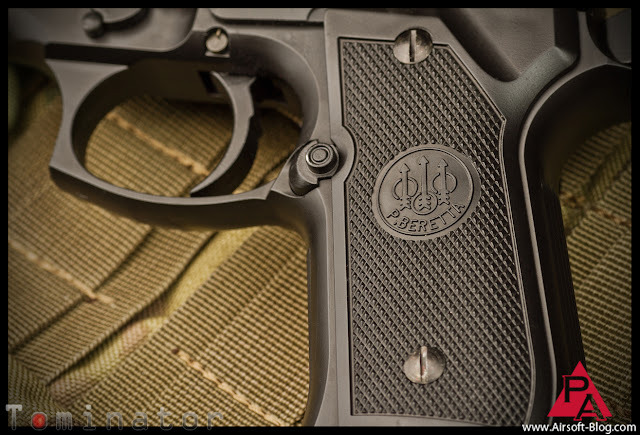 On the right side, you'll find a variety of Beretta-related markings, including "MOD 92 FS" and "BERETTA TRADEMARKS LICENSED BY BERETTA-ITALY." 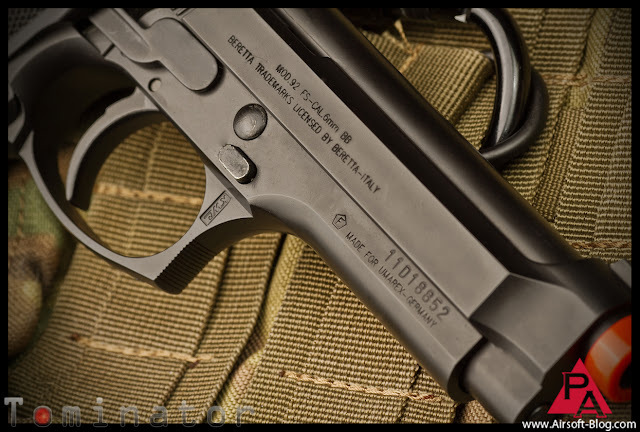 You'll also notice that on the trigger guard, KWC has made their mark, which tells us who Elite Force partnered with to produce their Beretta M92FS. 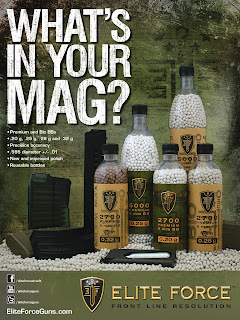 I don't know the exact capacity of the gas magazine, but judging from it's size, I'd wager a bet of around 25 rounds, give or take 3 rounds. 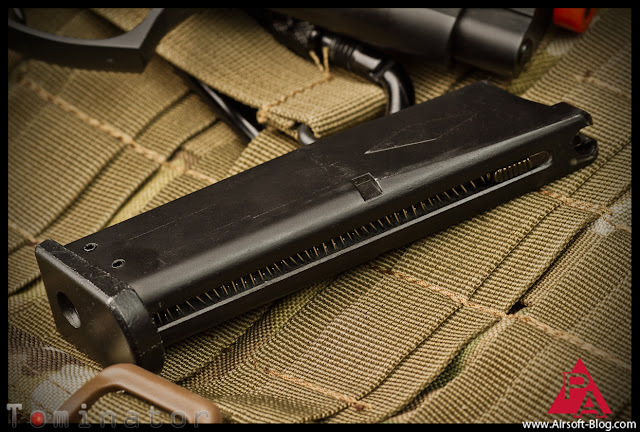 Another nice touch, not found on every pistol out there, is the inclusion of the retention lanyard loop sitting just behind the magazine there. A fantastic day of Airsoft can be ruined in a split second when you realize you've dropped your gun on the field and cannot locate its whereabouts. 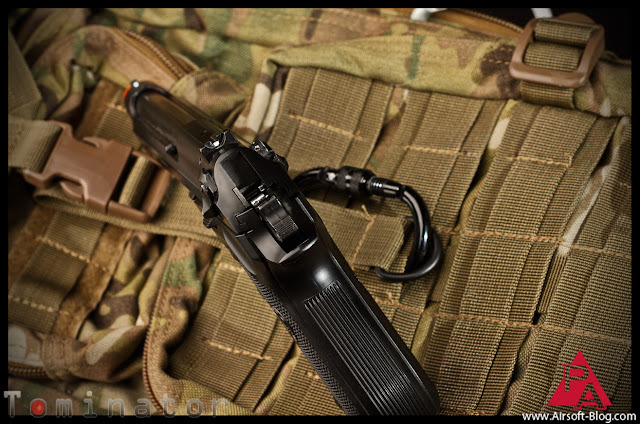 Being able to secure you pistol with a retention lanyard is a definite plus. 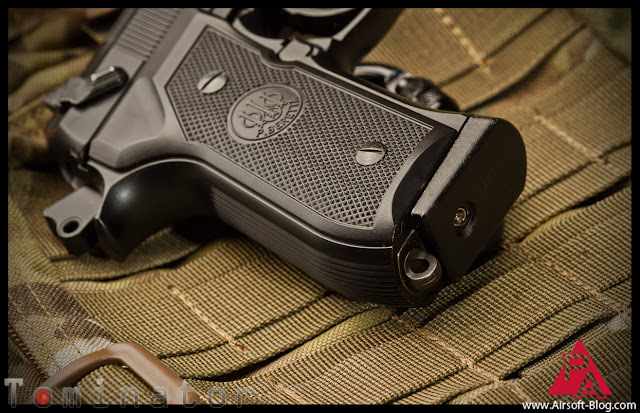 I haven't had a chance to take the Elite Force Beretta M92FS out to the range yet, but I have dry fired it a few times in my garage and was impressed with the snappy recoil. Having played with a few other KWC pistols in the past, I do have fairly high expectations for this one. KWC generally makes a nice pistol. 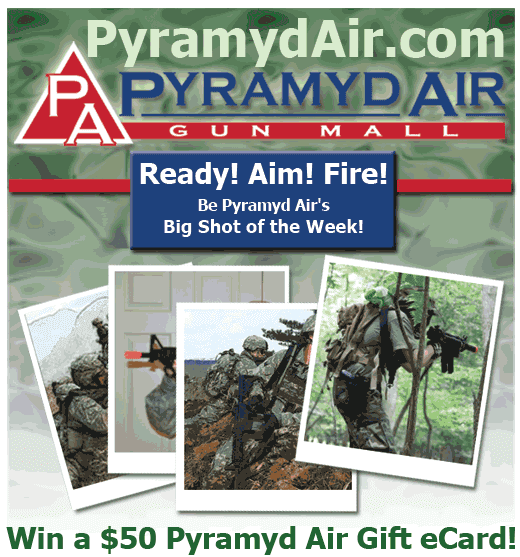 As soon as I get a chance to perform a little range test, I will, of course, update you here on the Pyramyd Airsoft Blog. In the meantime, you can check the "recent posts" section just below this post here to see what else is new here on the blog. Thanks for check this one out and be sure to share with your buddies.